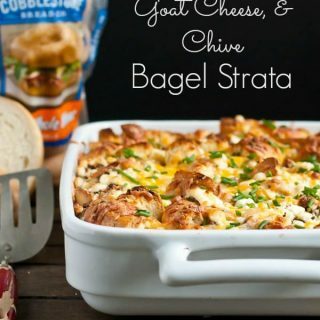 This Sausage, Goat Cheese, and Chive Bagel Strata is an easy breakfast casserole you can make ahead of time for a stress free morning! When I first learned pregnant women are supposed to avoid soft cheeses, I might have shed a tear or ten. What was I going to do without my buddies Brie, feta, goat and blue? It was going to be a lonely few months, but I resigned myself to it. Then I found out it’s only unpasteurized soft cheeses that are potentially dangerous, and I maybe did a little happy dance and drove myself straight to the store to pick up a tub of pasteurized goat cheese. That was a wonderful afternoon. Absence truly does make the heart grow fonder, because since that day, goat cheese and I have been inseparable. Turns out, we make a pretty fabulous team, especially when sausage, bagels, and eggs join in as well. 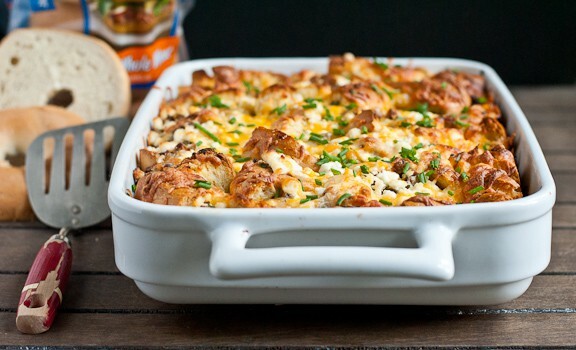 This Bagel Strata is soaked in an herby egg mixture, loaded with sausage, and then topped with cheddar cheese, goat cheese, and fresh chives. It’s hearty, filling, and packed with spring time flavor. You all might remember I had a mad craving for bagels and cream cheese early on in my pregnancy. For about three weeks, it was an unstoppable force. I ate bagels and cream cheese nearly every day. But then, just as quickly and ferociously as the craving came on, it disappeared, and there I was left with a whole lot of bagels. Luckily, bagels can be used for much more than just your typical morning toast and cream cheese schmear. 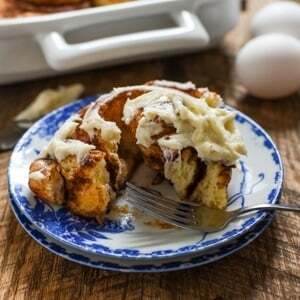 I love using them for fried egg sandwiches or bagel French toast, but they can also be a great substitution in other recipes that typically call for bread, like strata. 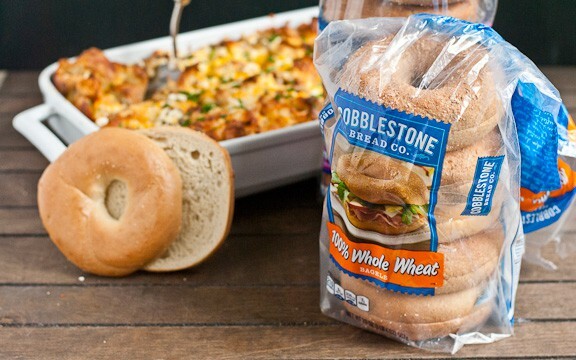 I had the pleasure of trying Cobblestone Bread Co.’s new line of bagels, and they happened to be perfect for this easy strata. Strata is a great dish to make for entertaining, because it is entirely make ahead friendly. 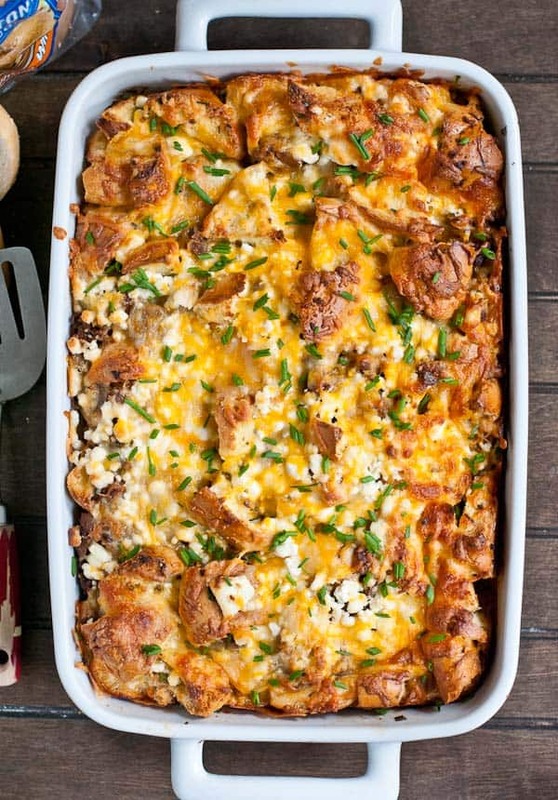 You simply whip up the egg, bagel and sausage mixture the night before, pop the casserole in the fridge, and BAM, it’s ready to bake in the morning. It’s a great way to put an impressive meal on the table for brunch guests without getting up at the crack of dawn. So if you’re tired of the same old cereal, boring eggs, or plain bagels and cream cheese, try this easy Sausage, Goat Cheese, and Chive Bagel Strata. It’ll liven up your mornings with tangy, herby, oh-so-cheesy goodness! 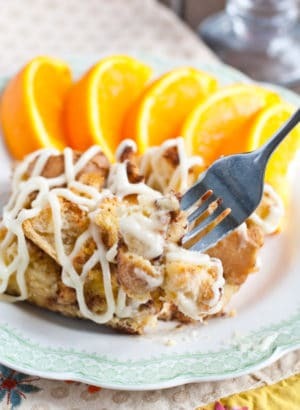 If you’re looking for more smart and fresh breakfast ideas, check out Kitchen Daily’s 21 Ways to Make Breakfast Exciting Again! 6 plain Cobblestone Bread Co. Grease a 9 x 13 inch casserole dish. Spread the bagel pieces evenly over the pan. Crumble and cook the Italian sausage in a skillet over medium heat until no pink remains. Stir the sausage evenly into the bagel pieces. In a large mixing bowl, whisk together the eggs, milk, salt, pepper, garlic, mustard, basil, and chives. Pour the mixture over the bagels. Cover with foil and refrigerate for at least 2 hours or overnight. When ready to bake, remove the dish from the fridge and allow it to come up to room temperature while the oven preheats to 375 degrees. Bake covered for 35 minutes, then remove the foil, sprinkle with cheese, and return to oven for an additional 10-15 minutes or until top is browned and cheese is melted. 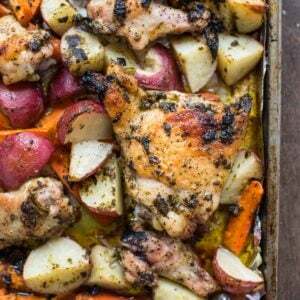 Let rest for 10 minutes before sprinkling with more fresh chives and serving. 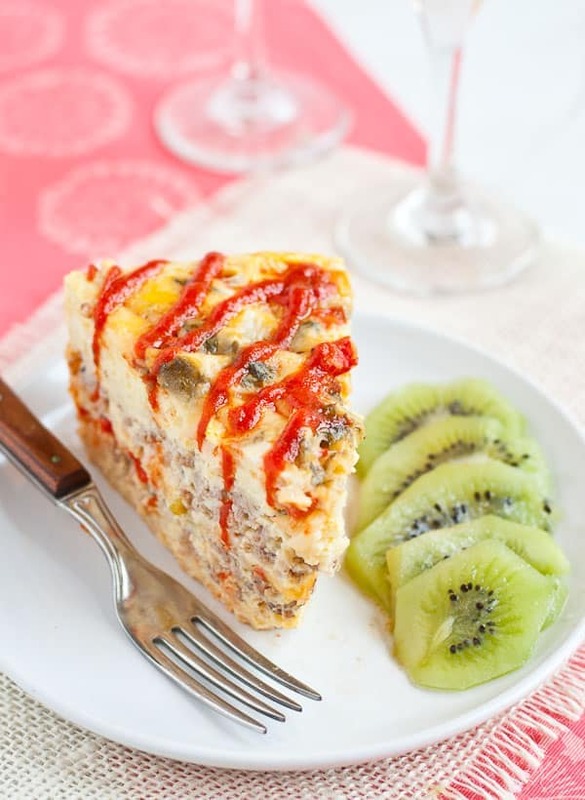 Looking for more Easy Breakfast Casseroles? Try these! Oh, I laughed so hard when I saw this. Proof that we were always destined to be friends. And goat cheese? Let’s form an Ohio fan club for it, shall we? 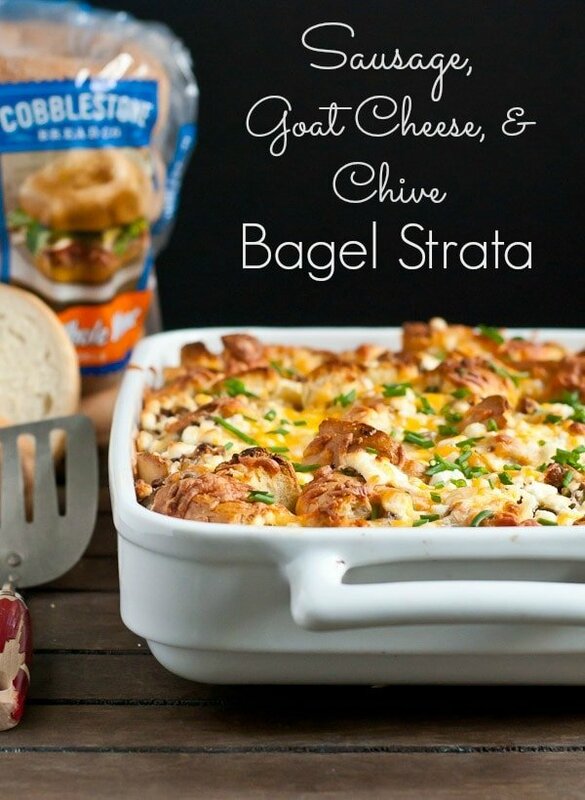 Love the looks of this strata, Courtney! Totally! It makes a huge pan so you can indulge all week long! Thanks for linking to my casserole, friend! Also, I’m thrilled that you found pasteurized goat cheese, because otherwise, that would have been a long nine months without it! I love stratas, just because they’re so easy to make in advance and pop in the oven. But I’ve never though to use bagels. What a fun and delicious twist! Yum!!! 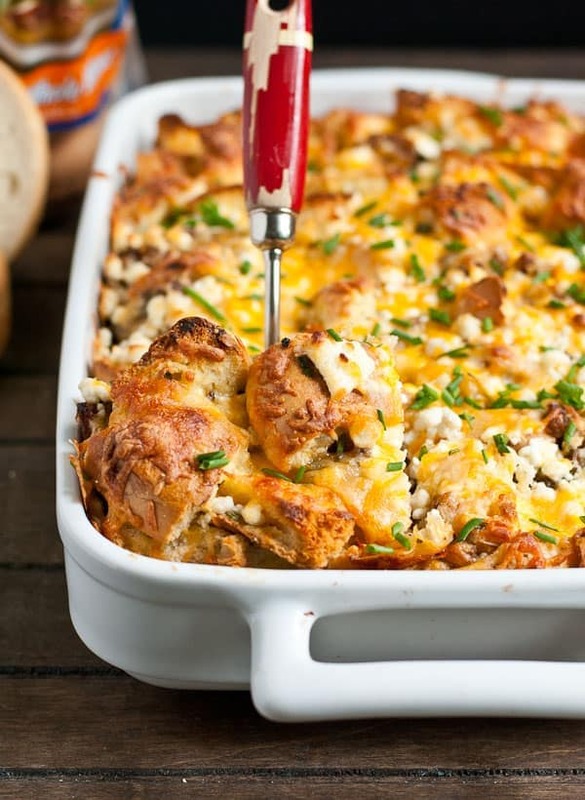 I made stuffing out of bagels last fall but now I need to make this breakfast strata!